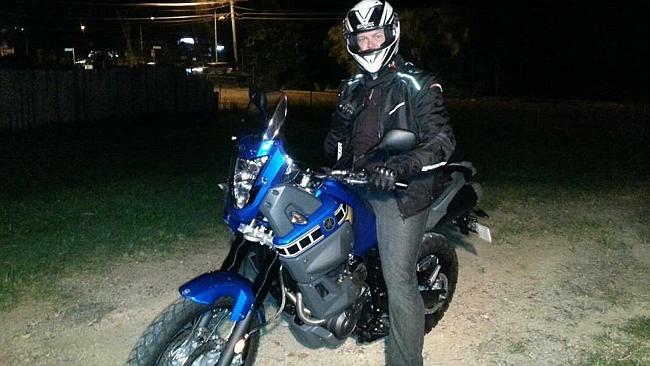 Mr Sloman’s fine sparked a wave of criticism and complaints on social media, resulting in Police Commissioner Ian Stewart conceding he also sometimes stretched his legs while riding. This motorcycle policeman was snapped on the Ipswich Motorway on Wednesday, January 22 stretching his leg off the foot rest. The Courier-Mail has sought a response to Mr White’s image from the Queensland Police Service. Jake Sloman was riding along the Logan Motorway on January 6. when he stretched his leg. Police pulled him over and fined him $146. The offence? “Fail to keep both feet on footrest”. The fine caused outrage on Twitter and on Sloman’s Facebook page, with people saying taking this particular road rule to the letter would mean almost every motorcycle rider would be liable to be fined. Jake Sloman had a leg stretched out just like this on a motorway when police fined him $146. Picture: Facebook. 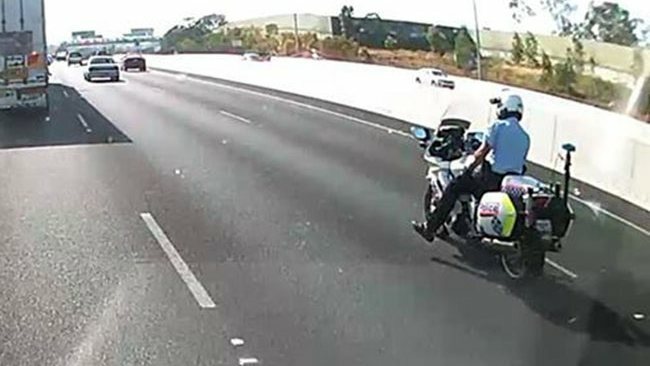 Mr Sloman told www.couriermail.com.au that he was 20 minutes into his ride from the Gold Coast to Logan for work that Monday morning when he stretched his leg on the motorway. “You could see it was a cop car in front of me but I didn’t even think of it,” he said. He said he tried to explain he was just stretching his leg but was still hit with the fine. He said even though he knew other bike riders did the same thing, he did not intend to contest the fine. “I don’t have the time or money – it would probably cost me more if I do lose,” Mr Sloman said. The man’s fine came after another motorist was fined for having his window down “three to four centimetres”. The fine caused a backlash among The Courier-Mail readers. Public backlash after a Brisbane father was fined for leaving his parked car window down, only slightly, on a scorching hot day. Posted on January 25, 2014, in ConspiracyOz Posts. Bookmark the permalink. 3 Comments. So where is the CRIME…? Where is the injured party/corpus delecti…?